Five years ago, the U.S. Agency for International Development (USAID) gathered with fellow global leaders in Washington, D.C. to start a movement to save 15 million children and 600,000 women by 2020. More than 650 organizations – including 177 governments, 247 faith-based organizations, and 241 civil society organizations – signed a pledge to accelerate their efforts to ensure that no child is robbed of the chance to see his or her 5th birthday. Our 2017 Acting on the Call Report details the progress we have made in 25 priority countries and includes a special focus on the role of health systems. Health systems consist of all people, institutions, resources and activities that have an impact on the health of a population. A full range of health systems enables delivery of quality and affordable services and ensures that those services reach the most underserved and high need populations. Health systems interventions focus on core functions such as health governance, health finance, health information, health workforce, service delivery, and medical products. Building strong and resilient health systems will help to reduce the bottlenecks that impede people from reaching high quality care. For the first time – through the combined efforts of USAID and the United Nations Children's Fund (UNICEF) – this report provides quantitative estimates of the value of investing in strengthening health systems in terms of the lives that will be saved. Our data shows that we can save the lives of 5.6 million children and 260,000 women from 2016 to 2020 by scaling up health systems throughout countries. Read the full report, and view a supporting fact sheet and other resources. Adamu Mamman, an imam in Nigeria's Bauchi state, never trusted immunizations. USAID wanted to help the local health officials immunize all the kids in the area, and Mamman and "community influencers" like him were the key to their strategy. After a series of service delivery interventions, including community education and outreach, Mamman realized the benefits of immunization, and nearly all children in the community were immunized that year. Read more stories that explain the concepts in the Acting on the Call Report. Seven months into her pregnancy with her son Mardochée, Mama Sophie of the Democratic Republic of Congo (DRC) began to feel pain. When she visited the hospital, she learned that her body was preparing for early labor. Fortunately, staff at the hospital had received USAID training in proven practices, such as Kangaroo Mother Care, to improve the health of premature babies. Today, baby Mardochée is healthy, and the deaths of more than 109,000 children have been averted in the DRC. 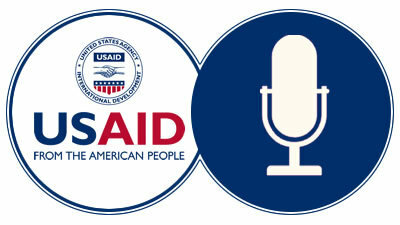 Meet more of the women and children that benefit from USAID's efforts. Join the conversation online using our resource guide and #MomAndBaby. With undernutrition as an underlying cause of more than 3 million child deaths per year, and anemia contributing to 20 percent of maternal deaths, scaling up high-impact nutrition interventions is essential for reducing preventable maternal and child deaths. USAID nutrition efforts largely target the 1,000 days window from pregnancy through 2 years of age, as good maternal and child nutrition during this period is important for maternal survival and health, fetal growth, and early childhood survival, development and growth. Poor nutrition during this critical window also has potential long-term impact on a child's future educational attainments, productivity and health. The 2013 Lancet Maternal and Child Nutrition series identified 10 high-impact nutrition interventions, like management of acute malnutrition, exclusive breastfeeding promotion and support, and iron folic acid supplementation during antenatal care, that, if scaled up in 34 priority countries, could reduce child mortality by 15 percent. Through its Multi-sectoral Nutrition Strategy, USAID aims to integrate these nutrition interventions into maternal and child health programs to have a greater impact on reducing preventable maternal and child deaths. See USAID's implementation guidance briefs to learn more about the role of nutrition in preventing maternal and child deaths and nutrition during the critical 1,000 days window of opportunity. Empowering new mothers about how to prevent transmission of HIV to their babies is critical to controlling the HIV/AIDS epidemic. 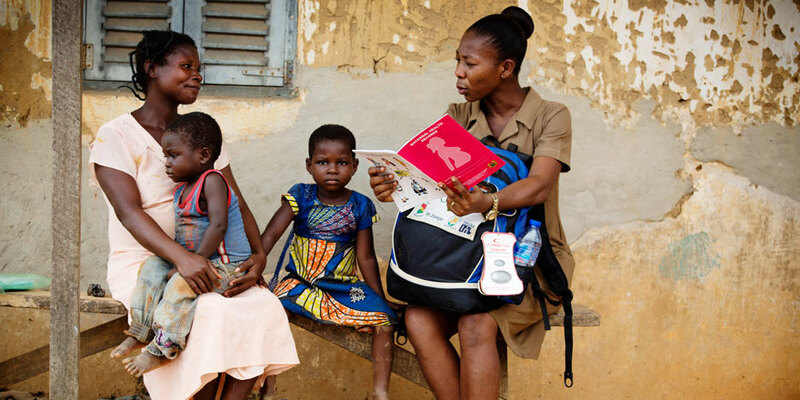 USAID, through the U.S. President's Emergency Plan for AIDS Relief (PEPFAR), integrates programming that seeks to prevent new pediatric HIV infections by educating mothers on HIV transmission, treatment and services. In 2000, USAID, with the Elizabeth Glaser Pediatric AIDS Foundation, launched the first prevention of mother-to-child transmission of HIV (PMTCT) program, which helped train health workers, renovate clinics and recommend policy. Included in USAID's PMTCT programs is the promotion of the nutritional benefits of breastfeeding and its power to improve health outcomes for HIV-exposed and HIV-positive infants. As of 2016, as a result of PMTCT programming, nearly 2 million babies, who would have otherwise been infected, have been born HIV-free. Learn more about USAID's comprehensive HIV/AIDS and Maternal Health Integration Programming. PODCAST – "Looking at the Bigger Picture: Why Health Systems Matter for Women and Children"
Listen to a podcast conversation with Kelly Saldana, Director of the Office of Health Systems, as she talks about the 2017 Acting on the Call report and why health systems strengthening is such a critical component of development. Download a transcript of this podcast [PDF, 95KB]. The Aspen Global Innovators Group and the U.S. Agency for International Development's (USAID's) Center for Accelerating Innovation and Impact (CII) invite you to join us Tuesday, July 11, 2017, at the Aspen Institute in Washington, D.C., for a conversation on the changing landscape of global health financing. A panel of experts will discuss historical trends in development finance, the evolving role of foreign aid, and new ways in which the development community and private investors are applying non-traditional approaches to financing development and global health. The event will also highlight USAID's new interactive guide, Investing for Impact, an educational resource for USAID staff and development practitioners interested in learning more about recent financing trends and ways to appropriately put to use non-traditional approaches to financing global health – including guarantees, seed funding, investment funds, impact bonds, and more. 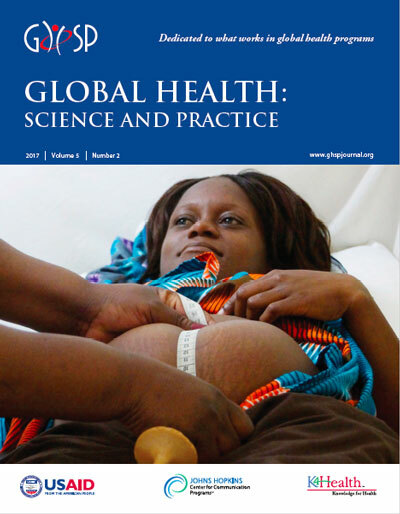 The June issue of the Global Health: Science and Practice (GHSP) journal will be out on June 30th! Check out some of the latest Advance Access Articles from GHSP journal, including results from a cluster-randomized trial on mortality reduction among newborns when antibiotic treatment of bacterial infection is offered at the most peripheral level of the health system in rural Ethiopia.